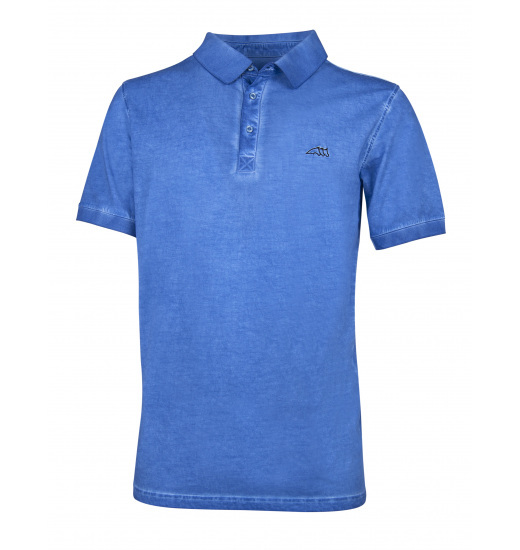 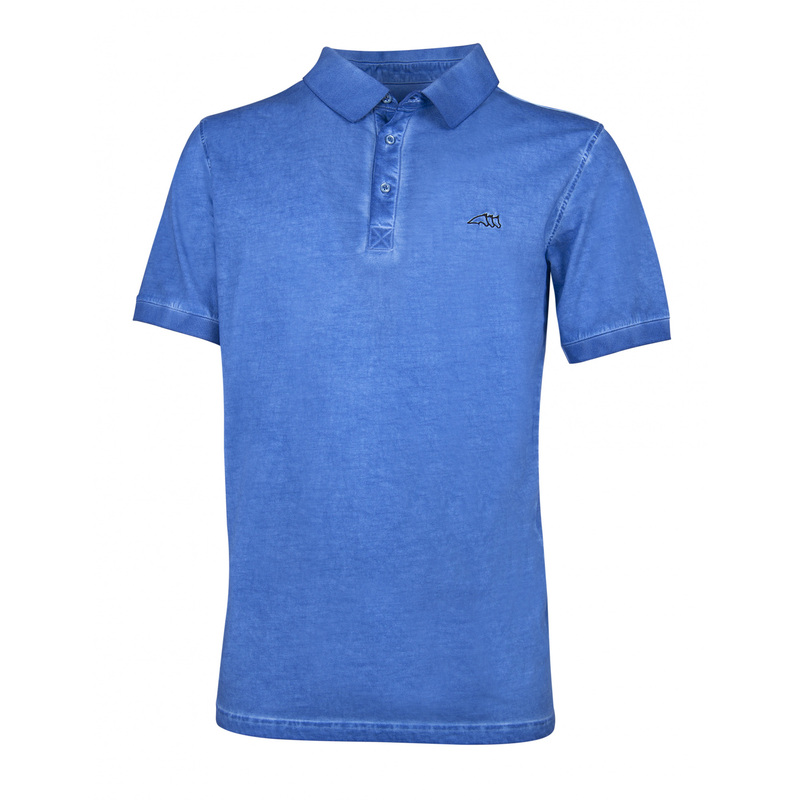 Men's polo shirt Brandon is made of material which colour resembles classic jeans. 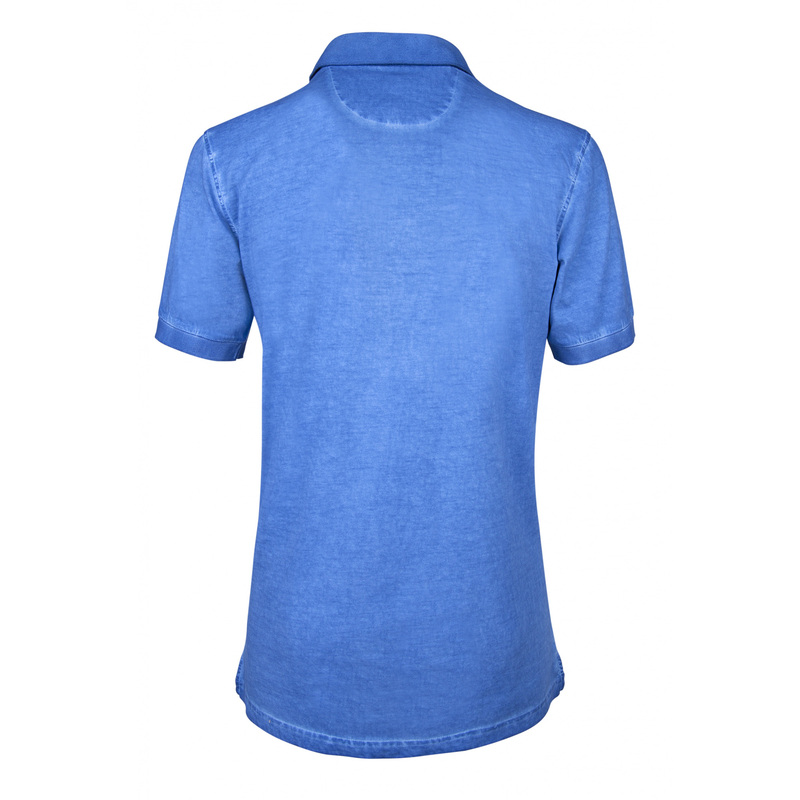 By the stitches the colour slightly fades, which gives this shirt an extraordinary style. 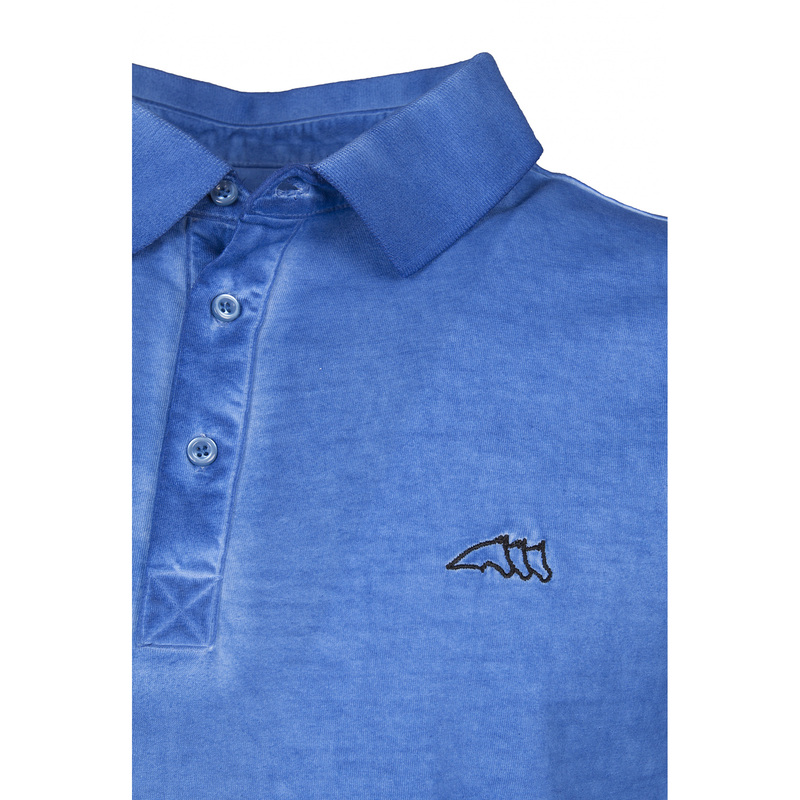 It is fastened with buttons, and has a black contour Equiline logo embroidered on the chest.